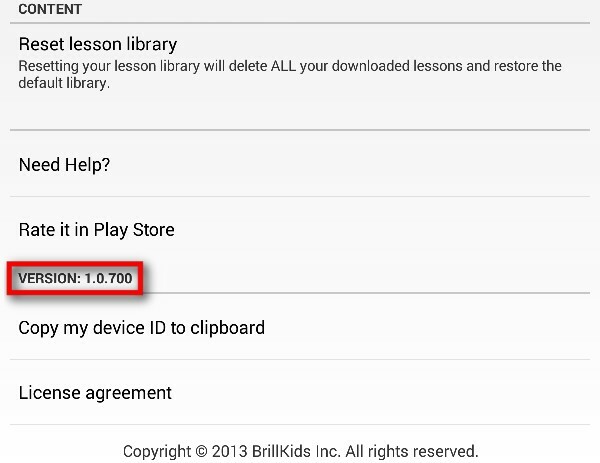 You can find the Little Reader Touch app version currently installed in your Android tablet or Android phone by checking the app's Settings window. Turn on your device and launch Little Reader Touch. Tap the Customize & Settings button at the Little Reader Touch home screen. Scroll down to the bottom. The app version currently installed on your device will be displayed next to the "Version" label.